The 26 atolls that make up the Maldives are a scuba diver’s dream. The water is warm year around, the atmosphere is relaxed, shark and manta ray encounters are regular events and dive sites are diverse. 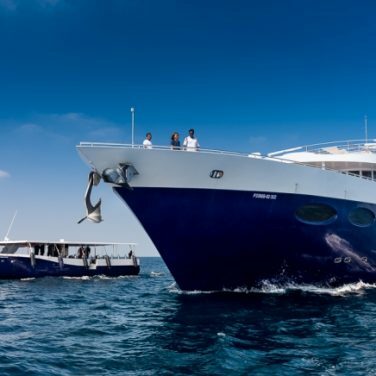 A great option for diving is through a liveaboard and, with so many options out there, you’re probably trying to figure out what’s the best Maldives liveaboard to pick for your next holiday. Without a doubt, the best way to experience this slice of underwater heaven is on a liveaboard. It’s easier to tour the atolls and discover the best dive spots without being anchored at one particular resort. Plus trips are all inclusive so show up then – eat, sleep, dive, repeat. 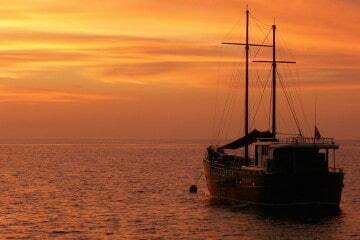 There’s lots of diving liveaboards touring the Maldives and picking just one trip can be a tough decision! Here’s a quick guide that highlights the best boats and also gives you some things to consider when it comes time to book. 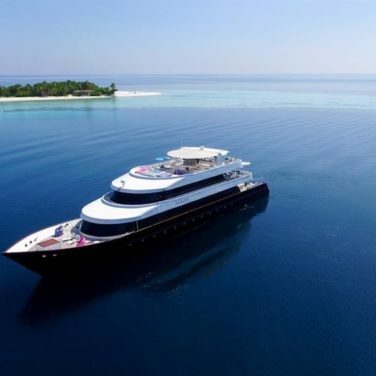 Scubaspa Yang is one of the most highly reviewed liveaboards in the Maldives, and for a good reason. Guests can expect three tanks a day in some of the region’s best sites, with free Nitrox for qualified divers. Snorkel trips, yoga classes, and professional spa sessions are part of the daily schedule, balancing comfort and excitement. 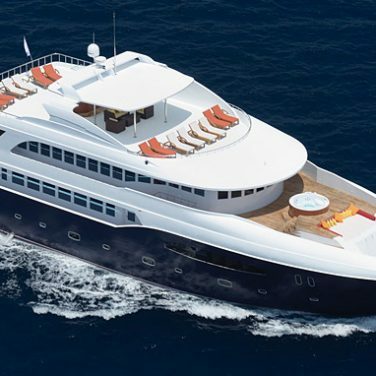 And, if you’re looking for luxury, this vessel has you covered. Well appointed cabins, fine dining, free WiFi, an on-deck jacuzzi, and a mini gym will keep even the most spoiled guests happy. 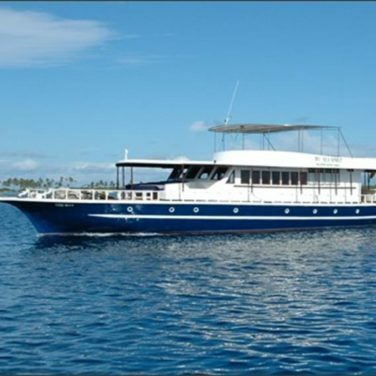 Most Maldives liveaboards focus on luxury, but the Emperor Voyager puts diving first. 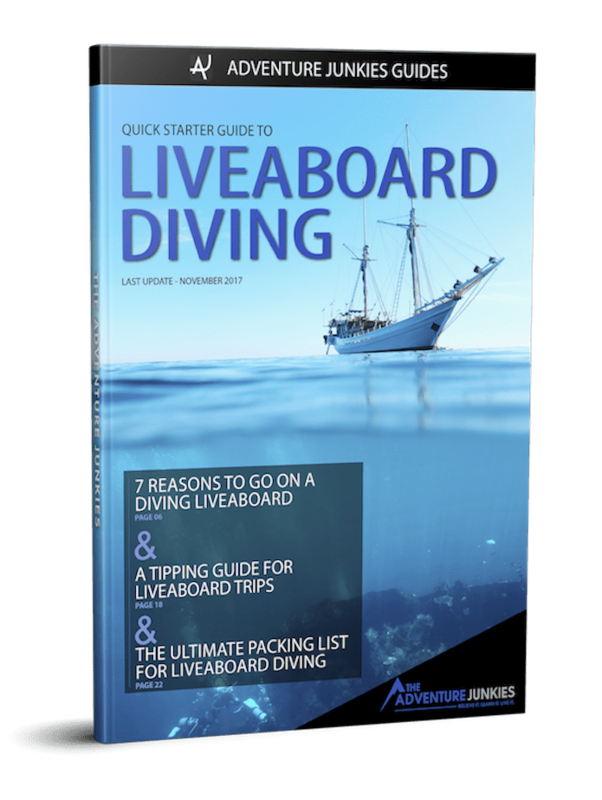 Perks like free Nitrox, rebreather support, and the freedom for experienced buddy teams to dive unguided, make this a top pick for underwater photographers and veteran divers. 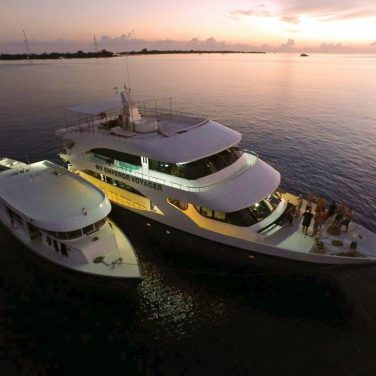 This boat’s “best of” itineraries hit all the region’s top sites, and a flexible schedule allows for multiple tanks when sharks and rays are sighted. Not only is this one of the region’s most affordable options, but it’s also one of the highest rated, too. If you have non-divers in your group, keeping them comfortable and entertained during diving days is a top priority. Blue Force One offers snorkeling, stand-up-paddleboards, surfboards, and kayaks, all free of charge. 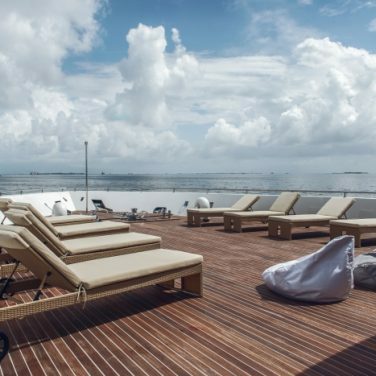 Couch potatoes can spend their days relaxing with multiple sun decks, a spacious and modern lounge, sea-view bar, two on-deck jacuzzis, and WiFi access. 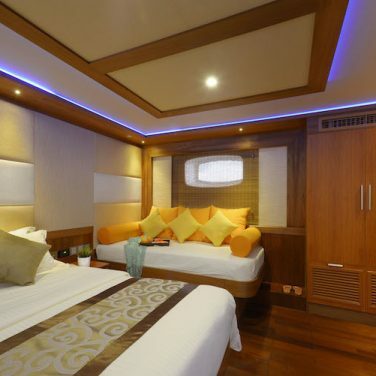 Luxurious cabins and common areas ensure plenty of comfortable places to put your feet up, and dining on this boat is top rated. Serious divers and underwater photographers can make the most of their trip with this boat’s extended itineraries. 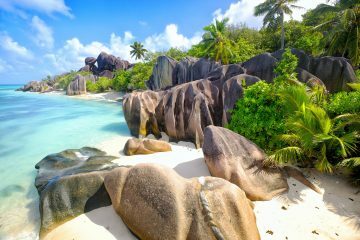 Voyages lasting up to 13 days explore the best of the Maldives’ northern, central, and southern atolls in one expedition. The Sea Spirit visits many remote sites well off the course of other liveaboards, and a flexible schedule allows for repeat dives in the most exciting spots. Best of all, with just 12 divers onboard, you can expect uncrowded dive sites and plenty of individual attention above and below water. 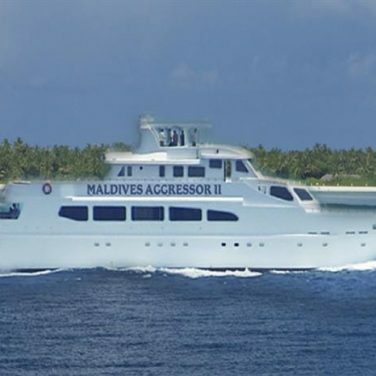 The Maldives Aggressor II is one of the region’s best known boats, designed with divers in mind. And, there is no better pick for underwater photographers and videographers. Personal gear lockers, dedicated rinse bins, a three-tier camera station, and low-pressure air hoses make equipment care a breeze. Cabins are equipped with extra charging points, in case you don’t find enough room at the computer and camera table. 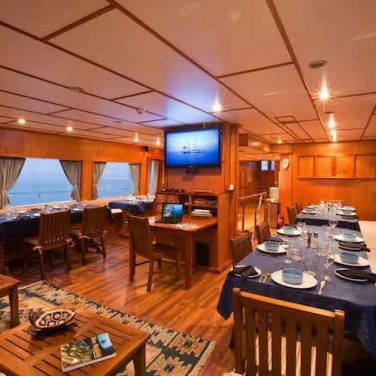 Like the rest of the Aggressor fleet, this liveaboard features plenty of luxury amenities like complimentary beer and wine, an on-deck jacuzzi, and some of the most comfortable cabins around. 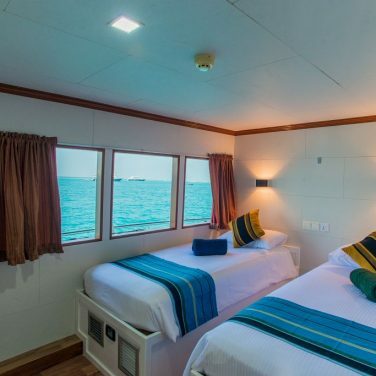 When it comes to luxury liveaboards in the Maldives, visitors are spoiled for choice. But, the Azalea takes service and style to the next level. Guests can unwind with fine dining, an extensive wine list, free WiFi, an on-deck jacuzzi, and cabins fit for a high-end hotel. Professional photographers onboard can offer coaching and guidance, or capture your most exciting moments underwater for you. To top it all off, this boat plans its itinerary to give divers uncrowded immersions at the region’s top sites. Beginner. While it’s possible to dive remote and challenging atolls in the Maldives, newbies will find plenty of sites suited to their skill level, too. In fact, many boats in this region offer diving instruction, beginning with Discover Scuba. If you prefer calm conditions and easy reef diving, choose a route in Ari or Male. 8 to 14 days. If you’re liveaboard diving in the Maldives, you’ll want to hit the hotspots in a few of the most impressive coral atolls. While some shortened itineraries do exist, you’ll need at least 8 days to explore the region. And, with plenty of marine megafauna like sharks and rays around, the extra time underwater won’t disappoint. You can dive in the Maldives year-round, but the region does have distinct seasons. From November to May, the weather is at its best and visibility peaks. But, this is also the busiest time of year to visit. From June to October, daily wind and rain are typical. However, you can expect uncrowded dive sites, discounted rates, and plenty of room on dive boats. Weather in the Maldives varies by the season but remains hot and tropical throughout the year. And, no matter what is happening above water, you can expect warm ocean temperatures ranging from 78 to 84° F (26-29° C). Most divers are comfortable in a shortie, but consider full body coverage if you tend to get cold underwater. Water clarity in the Maldives varies, but divers can expect 65 to 165 feet (20 to 50 meters) throughout the year. Areas known for encounters with whale sharks and manta rays, like Hanifaru Bay, will have dramatically lower water clarity. This is due to massive blooms of plankton, a favorite food for marine megafauna. 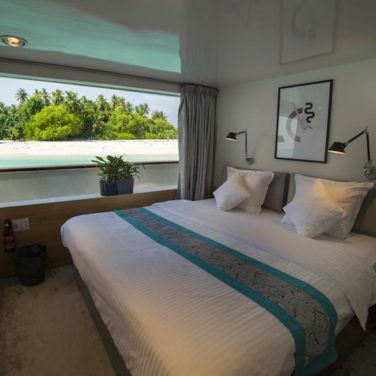 The Maldives are a classic liveaboard destination, famous for ultra clear turquoise water, some of the planet’s best beaches, and thriving marine life. Divers flock to this remote stretch of the Indian Ocean hoping to come face to face with whale sharks, manta rays, and even hammerheads. These remote coral atolls boast plenty of healthy coral and macro too, making them a favorite for photographers. Above water, this region is all about luxury. 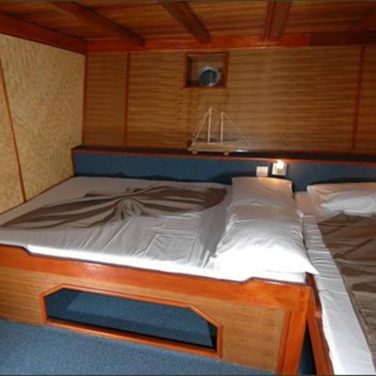 Many boats feature suite-style cabins and staterooms, hot tubs, fine dining, and over the top pampering. If you’re hoping to combine a dive trip with plenty of creature comforts, you’ve come to the right place. After all, Maldivian hospitality is some of the best in the world. If you’re new to liveaboard diving or hoping to continue your underwater education while on holiday, the Maldives might be your best bet. Plenty of boats offer itineraries catered to newly certified divers, and courses like Nitrox, underwater photography, and Advanced Open Water. Experienced divers and current junkies will find plenty of action too, with plenty of fast-paced drift dives on offer. These gentle giants can be spotted throughout the Maldives year-round. But, your best chances for getting up close and personal are in the sheltered waters of Hanifaru Bay, between May and December. This area in eastern Baa is a carefully controlled marine reserve. Snorkeling is permitted, but diving is not. And, a maximum of 60 people can visit at a time, so as not to disturb the sharks. Reef and Oceanic mantas inhabit this region throughout the year. And, your best chances of spotting them are at reeftop cleaning stations around the Ari Atoll. You can also observe their cyclone feeding behavior around Hanifaru Bay, as they compete with mighty whale sharks for their favorite meal, plankton. While the northern atolls are best for spotting hammerheads, they make appearances at the cleaning stations around Ari, too. Early morning immersions are best for spotting them, as they rise from the ocean deep around dawn. But, anything can happen in the Maldives. Keep a watchful eye out in the blue, as these powerful predators can cruise by at any moment. While there are plenty of sites in the Maldives that are perfect for beginners, some of the outer atolls have excellent drift diving, too. Deepwater channels funnel water in from the open ocean, creating fast-paced drifts, perfect for an adrenaline rush. 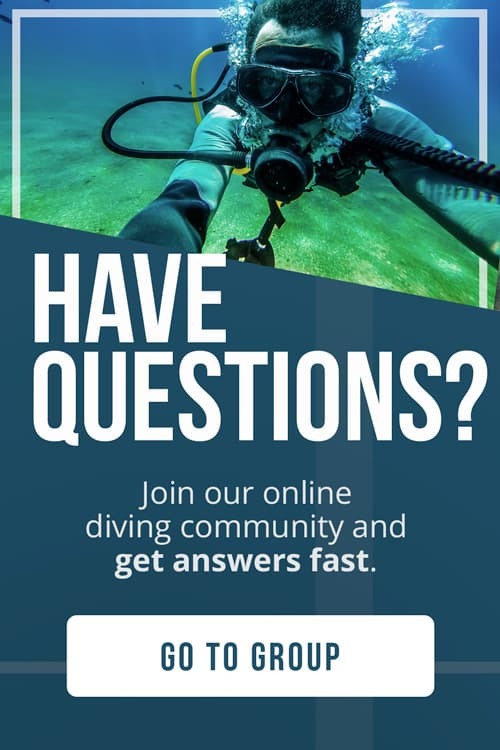 If you’re hoping to get in on the action, you should carry an advanced certification and have experience diving in strong currents. If you want to continue your dive education while on holiday, this region is a top pick. Courses are offered on many boats, beginning with Discover Scuba. Some sites in the Maldives are best for divers with deep or advanced certification, so both are widely available. Nitrox and underwater photography are popular choices for more experienced divers looking to learn more. With over 1,000 islands in total, the diving possibilities around the Maldives are endless. Whether you’re hoping to explore deepwater pinnacles and cleaning stations, get your blood pumping in powerful currents, or just take it easy on the reef; you’ll find what you’re looking for here. Many of the best dive sites are scattered around the most remote of the atolls and are often overlooked by quick trips. So, it’s easy to see why many divers opt for extended itineraries. 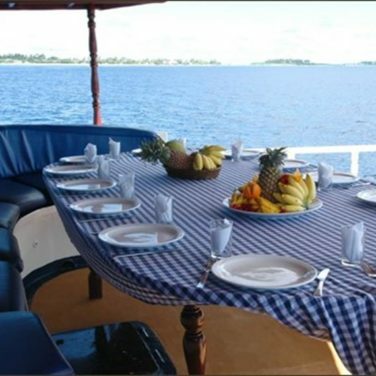 Most boats offer 8 day “best of” itineraries through the central and northern atolls. These voyages typically include time around Ari, Male, and Baa. If you’re new to liveaboard diving or don’t feel comfortable with challenging conditions, this type of trip is your best bet. And, you’re sure to encounter the region’s most famous residents along the way. Close encounters with whale sharks and manta rays make the central atolls a dream destination, even for veteran divers. If you’re up for an adventure, longer voyages lasting up to 14 days are a great way to explore the region in depth. These itineraries stop at all the hotspots in the central and northern atolls before venturing into less dived areas. Whether you explore the far north or southernmost islands will depend on the season and operator. But, both trips are well worth the extra days at sea. Remember, the outer atolls aren’t suitable for beginner divers. But, current fanatics and underwater photographers will delight in the challenging conditions and uncrowded dive sites well off the tourist track. No matter what your level of skill or certification, you’re sure to log some incredible dives in this region. The best known Maldivian atoll, Ari, is visited by virtually every liveaboard in the region. And, while you are sure to encounter large pelagics elsewhere in the area, this atoll offers up some of your best chances. Whale sharks and manta rays are the most famous wildlife, but eagle rays, Napoleon wrasse, and reef sharks are frequent visitors, too. Ari’s dive sites are a series of submerged pinnacles, rising from the ocean depths. These formations serve as cleaning stations, beckoning big fish in from the open sea. The most famous sites like Fish Head, Broken Rock, and Hammerhead Point are “can’t miss” additions to any itinerary. Some of the most diverse destinations in the Maldives, North and South Male showcase a variety of underwater environments. Thriving coral reefs, plunging drop-offs, caves, and caverns can be explored in a single day. Gushing currents in this region, especially South Male, support a vast array of marine life, including plenty of big fish. Thanks to this surplus of food; thresher, tiger, and hammerhead sharks frequent these waters year-round. Further north, delicate soft coral gardens and cleaning stations like Manta Point are favorites for underwater photographers. These southeastern atolls feature deep channels and walls with nutrient-rich, fast-flowing currents. Schooling reef sharks, tuna, trevallies, and the occasional hammerhead cruise out in the blue, looking for an easy meal. 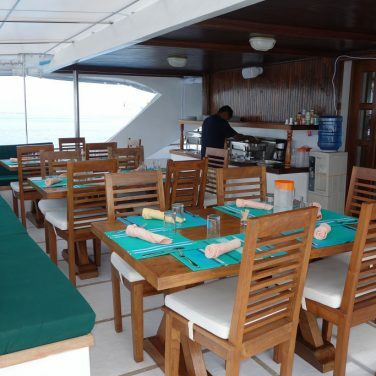 You can expect to dive one of the most interesting sites in the Maldives, Fotteyo Kandu, here. Its swim-throughs, caves, and overhangs make for exciting underwater exploration. Sheltered lagoons around Medhufushi Thila are excellent for spotting whale sharks and mantas feeding in the shallows. Still relatively unexplored, Laamu and Thaa are among the least visited of the central atolls. Characterised by deepwater channels and strong currents, sites in this region attract hunting reef sharks, jacks, and tuna. Challenging drift dives like Olhugiri Kandu are perfect for spotting manta and eagle rays cruising out in the blue. And, liveaboards spot the occasional whale shark feeding on the surface here, too. The best part of visiting here is the lack of other divers. 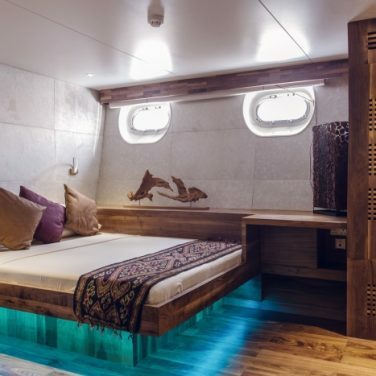 You might not see another liveaboard for days. 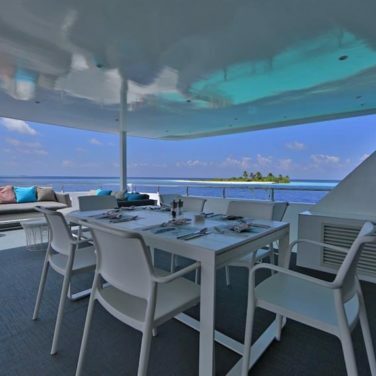 While most Maldives liveaboards focus on the central atolls, excitement awaits further north. Baa is one of the best places on planet earth to dive with reef manta rays and observe their cyclone feeding behavior. It is also home to one of the planet’s largest gatherings of breeding whale sharks, in the legendary Hanifaru Bay. The sharks are strictly protected, and only a limited number of snorkelers are allowed to visit them each day. Farther north, Raa presents a series of submerged pinnacles, well known for giant schools of colorful reef fish. These sites also feature healthy gardens of soft coral, home to some of the best macro in the Maldives. These north Maldivian Atolls are best known for steep plunging walls, and schooling reef sharks, sometimes in the hundreds. Cleaning stations like Orimas Thila are perfect for observation and photography, as the sharks hover motionless, patiently waiting their turn. It’s easy to set your sights on these impressive pelagics, but there’s plenty more to see in the area. Large schools of reef fish lure in tuna, trevally, barracuda, and jacks from open water, and eagle rays often cruise overhead. So, be sure to keep your eyes out in the blue. 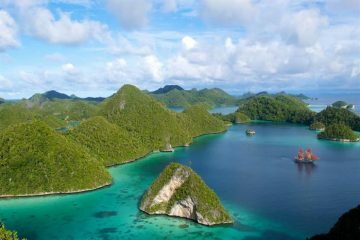 Exclusively visited on expedition trips and long voyages, these remote diving areas are only accessible via liveaboard. The best part of diving this far off the beaten path is the lack of other dive boats. In fact, you might be the only group around. Manta rays, reef sharks, and even the shy leopard shark are commonly spotted here. And, you’ll be treated to some of the best wall dives in the Indian Ocean. But, diving in far-flung atolls like Alifu and Dhaalu isn’t for beginners. Powerful currents, challenging surface conditions, and an isolated location make this region best for experienced divers. Unlike the rest of the Maldives, the Gnaviyani Atoll consists of a single island called Fuvamulah. With no surrounding coral barrier reef, ocean depths can reach thousands of feet, just a short distance from the beach. This dropoff invites a variety of deepwater pelagics in close to shore. Thresher and tiger sharks, hammerheads, and ocean sunfish make regular appearances here, as do large groups of oceanic manta rays. But, diving in this remote area isn’t for the faint of heart. Currents are strong and treacherous, the sea is often rough, and dive sites can suddenly drop off into the abyss. Only experienced divers should take the plunge in this region.